Theres something about the golden and red leaves of Autumn, ok so the uk isn’t that full of trees that turn red but when you find one it truly is a stunning sight, I was out walking last year Late autumn with the sun low in the sky even for midday, when it took this photo. I wasnt sure till i had gotten home that i had a great image, after taking the camera out of the bag ( warm from being in doors) every single glass surface misted up, as soon as i cleared up one bit another bit fogged up, i shot thought what i thought was a clear lens but after the shot found it completely fogged, and the image preview on the back of the camera looked pale and foggy, i carried on walking for a while with the mind set to come and shoot again on my way back one the camera had settled, but typically the light had changed so it didnt happen. I always shoot my images in Raw mode so i managed to pull back some of the colour in post production. 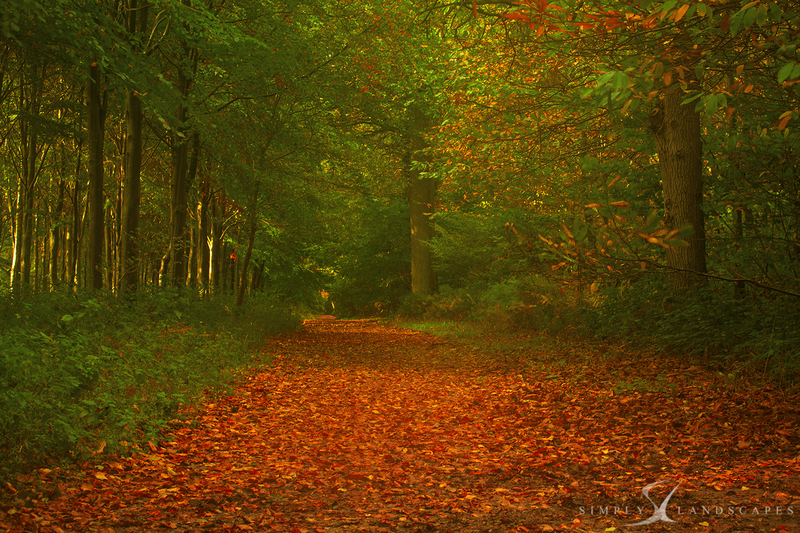 this image was shot near Standstead house Rowlands Castle Hampshire. This image is now available in the print shop prices starting at £25 for a 12×8 fine art print mounted ready to be framed.